Elden Clifford Welker, 95, was born and raised in Safford, AZ. He was a twin. Elden has resided in Mesa, AZ for the past 50+ years. He passed away peacefully on October 21, 2017 in Tempe, AZ, surrounded by family. Elden’s wife passed away exactly 3 months before him. He had been heart- broken for his sweetheart of 58 ½ years and he just longed to be with her. Elden had a long, meaningful, and successful life. He was wise and thought out his decisions carefully. He loved to tease and joke around. He was a good dancer and loved to dance the jitterbug with his wife. He had a good listening ear, gave great advice, and was proud of his hard work ethic that allowed him to always be able to support his family. He lived by the motto “Early to bed, early to rise.” He was gentle, strong, and was dependable in completing what he had committed to do. He almost never was sick or missed a day of work until getting hurt on the job, which forced him into early retirement. He drove trucks in his younger years, hauling various items. 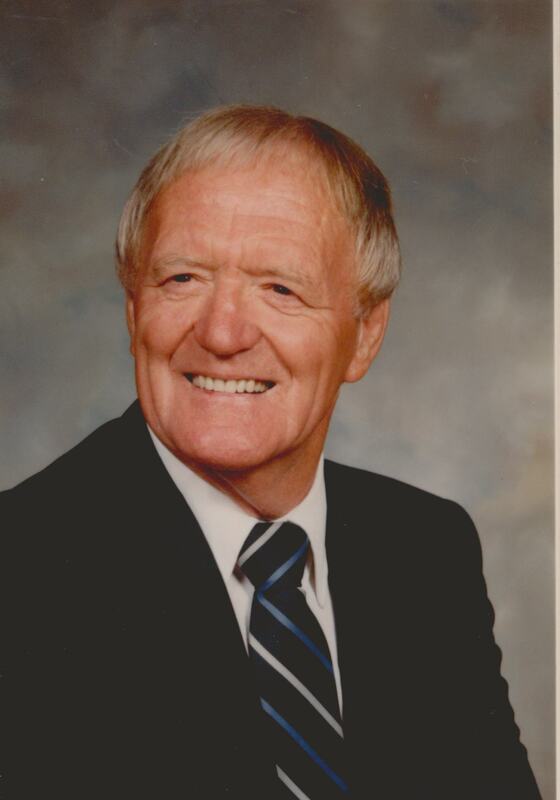 He worked for several grocery stores throughout his life, but was best remembered as the produce manager for Lucky’s stores where he was employed for many years. He loved fixing and building things and would never hire someone to fix something he could do himself. Elden loved the outdoors and spent a lot of time tending to things outside. He loved gardening and raising animals, especially birds. Neighbors, school children, and friends would often visit his aviaries just to see the different types of birds he had. Elden also raised and raced pigeons with a club in town. His birds won and placed well in many races. Some people in the neighborhood used to call him the “Bird Man” and if they needed help with their bird, or a bird they found hurt, they would call him to see if he knew what to do. Despite being born with bad eyesight, he didn’t complain, and actually did everything just like seeing people. He went through many eye surgeries to help him be able to see better. He was a tennis star in high school and would have went pro, but decided not to go that route in life. He loved watching football, baseball, and basketball games on tv. His favorite baseball team was the Diamondbacks. Nearing his death, he wanted to listen to/watch every game on tv he could. He also loved the Phoenix Suns. Eldon was a Latter-day Saint and his religion meant a lot to him. He was often found reading his scriptures or listening to them on tape. He had many callings in the church, but one of his favorite callings was being a ward/stake missionary. He also loved serving as a temple worker in the Mesa, Arizona Temple, and he served there for about 25+ years. He went on a full-time mission to Hamilton, New Zealand with his wife. Elden worked with his wife in the beautiful Hamilton Temple. This was a chance of a lifetime for him to go to such a beautiful place to serve the Lord. Elden will be missed. He gave so much, and he is loved so much. Survivors include his sons, Terry (Kathy), Gary “Ricky”; his daughter, Tammie (Jeff Burrell); his granddaughters, Holly (Robert Amarillas) and Kindli; his grandsons, Benjamin and Jarem; and 6 great-grandchildren. Elden was preceded in death by Phyllis–his wife of 58 ½ years in July; his sons, Blaine and Duane; his grandson, Russell Welker; his parents and 6 siblings. Funeral services will be held at the LDS Chapel: 848 North Westwood, Mesa, Arizona 85201, on Friday, October 27, 2017, at 11 AM, with a viewing at 10 AM. I loved visiting with your parents, they were always so gracious. I have such fond memories of Uncle Eldon! I’m glad he’s with his love Aunt Phyllis! Tammie and Terry and family so sorry for your loss! I love you all and know he’s in a good place!